The Railyard Oasis is where it all began for Onyx Hotels in 2012. An opportunity presented itself to convert a residential condo in a popular downtown property. With the city and state both offering full licensing to operate as a hotel, the idea was born. The rest is history. 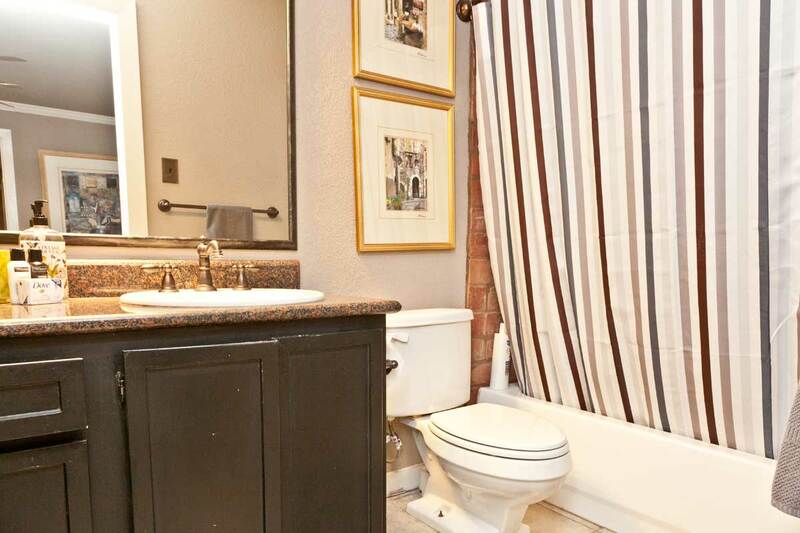 Located on the corner of 4th and San Jacinto, the Railyard Oasis is a three bedroom, two bathroom condo that comes fully furnished with everything you need for an incredible stay in the music capital of the world. Situated one block from the Austin Convention Center, two blocks from the world famous 6th Street and the Warehouse District, close to Rainey Street, and a handful of blocks from every other downtown attraction including hundreds of restaurants, movie theaters, bars, nightclubs, lounges, and live music venues, the location cannot be beat. The town lake walking/jogging trail is just a few blocks away, there is a yoga studio called Wanderlust just across the street. If you are a coffee drinker, the closest Starbucks is only two hundred feet from the front door. This 1,200 square foot Railyard Oasis unit features accommodations for up to eight guests (three queen beds and some air mattresses), central air conditioning and heat, a full-sized stackable washer and dryer, a small covered patio, free cable television, free wireless internet access, a wood burning fireplace, and plush furnishings that are worth a mention. With granite counter tops, renovated kitchen and bathrooms, flat screen televisions mounted on the walls, and a fantastic stereo in the living room, every detail has been considered to make your stay a pleasant one. A full kitchen with oven, stove, microwave, dishwasher, coffee maker, and all of the tools you need to cook your favorite meals will be included, however there are so many dining options within a few blocks, you may never use it. A few nearby options from the Railyard Oasis include: Fleming’s Steakhouse, Fogo de Chao, Piranha Sushi, Vince Young Steakhouse, Backspace, PF Changs, 200 Congress, La Condessa, Lamberts, Swift’s Attic, Champions Sports Bar, Parkside, Eddie V’s, The Onion, Trace, Perry’s, Uncle Julio’s, and many more. Ryan was very easy to work with and responsive. He provided a long detailed email that answered any question we could possibly have. Having washer/dryer was very convenient. The place is really nice, near everything including a B Cycle station (which we used extensively to get around). The yoga studio across the street is pretty amazing. The TV/media setup was a little complicated, but good enough. Overall, a great place to stay in Austin! Ryan’s unit in the Railyard Oasis was an excellent place to stay in downtown Austin. I was in town with some colleagues for a business meeting, and the apartment offered very convenient access to both the convention center as well as local food and nightlife. Everything was very clean and comfortable, and the listing quite accurately set my expectations for what the stay would be like. The style in which the apartment is furnished makes for a fun and interesting environment to spend time. I would gladly stay here again in the future. Great location and the place was amazingly decorated. We were very impressed with the use of space. Everything we needed was available and we felt just like we were at home. We will definitely recommend this place and visit again. Look out for the captain’s logs. Everything was accurate, clean, and tidy. Location is right near the nightlife on 6th Street, etc. This condo exceeded our expectations. It was beautifully decorated and very well laid out. We all found the beds to be very comfortable and the linens top quality. The location is superb and the parking spot is a huge convenience. As previously noted, the shuttle to and from the airport couldn’t be any easier and you cannot beat the price. Very easy access to building and the condo. Ryan provides a detailed email with everything you need to know about the condo and about Austin. Great communication with him. We look forward to staying here again when we come to Austin to visit my son. Fantastic location and safe and secure, perfect and clean setup for 3-6 people, and the host was so accommodating and hospitable–they even bought items specifically to make our stay better! We’ll definitely be back. We rented the apartment for the Austin Marathon weekend. The Railyard Oasis is located a couple of blocks from the starting line so it worked out perfect for us. The apartment itself is super clean, very comfortable, well decorated and equipped as advertised. Very close to the downtown action, which could get a bit noisy at night, but still everybody loved it! Did not need to contact Ryan since everything worked perfectly and his welcome email was very helpful. Ryan was very responsive and welcoming. Jared, who met us onsite, helped with storing our luggage on the day we left. The 3 bedroom condo was clean, beautifully decorated and perfect for us 6 sisters. Everything was as described and within walking distance to everything. The airport shuttle worked well for us, arriving and departing on various flights. The noise from the street could be heard through the walls, but we knew to expect this from the other reviews. It did calm down after midnight. We give this place 5 stars and would stay again. The house was great, super clean, and Ryan was such a caring host. The location was walking distance to everything you may need and an Uber ride to West Austin was no more than $7. Great experience, exactly as advertised. Apartment was spacious and very nice. The place was quiet despite being centrally located. Pre-check in email from Ryan was very useful and much appreciated. Check in/out was super easy. Great place to stay in Austin. Perfect downtown location, walking distance to most things to do. Ryan was great communicating with us about everything, even accommodating an early check in. Would recommend staying here. Very welcoming. Great experience. Would def stay here again. I enjoyed my stay in Austin because of this condo. It was very clean and I had no problems. I highly recommend this condo if you plan to stay in Austin. Ryan and his team were excellent hosts. Everything from the kitchens to the bathrooms/showers and bedrooms was fully stocked when we arrived. They were more than accommodating–going so far as to switch our room to another, larger one when they received a last minute cancellation–and they had many suggestions on what to do and see over our weekend in Austin. Their previous reviews and ratings obviously speak for themselves and their standards. Plenty of information provided by Ryan and his team. Great location and loved up to the expectations set. Very friendly people and we will use the location again. The Team (Thomas, Ryan + Jared) where very accommodating. which were rectified quickly, while we were out of the Apartment. Only the Ice Cube Maker in the Fridge/Freezer Combi had a Mind of its own & we could not get it to work. literally a stone throw away. Along with the Starbucks across the Street & the Keurig Coffee Maker in the Kitchen. And several Restaurants behind the Condominium. the patchy slow Internet needs improvement. we hope that this can be fixed soon! to download a half hour long HD Comedy Episode from iTunes. so we resorted to using one of our iPhone’s as Mobile Hotspot in combination with our T-Mobile unlimited Plan. For longer Stays, the front loading Washer & Dryer are a great help. Along with the small Pool in the Neighbouring Condominium. since the Metro Tram has its Final Stop basically in front of the Door. And UBER is so inexpensive to get around town. Should the Convention come back into town, we would use the Apartment again, because the Location is simply unbeatable! My entire experience from beginning to end working with Ryan and his partners was wonderful. They communicated in a timely fashion in regards to any questions we had prior to and during our stay. They were very accommodating, allowing us to drop off our bags prior to check-in as well as hold our bags for a late check-out. 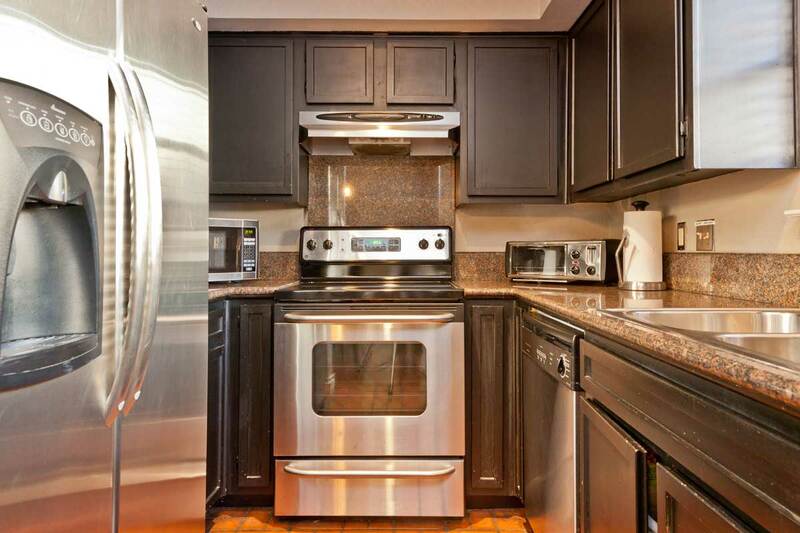 The unit was well maintained and centrally located to everything. I would recommend this place to anyone looking to spend time in Austin! The location of this airbnb was great. It’s in the middle of DT and close to all the bars on 6th street. Ryan and his team were extremely helpful and went out of there way to accommodate my group’s early check-in. I highly recommend staying at this airbnb! My colleagues and I were very impressed with the suite. Everything is accurate compared to the pictures and it is very central if you need to stay downtown for a conference. Directions were easy to follow and the staff were prompt in their replies. I would happily stay in the unit again in the future and recommend anyone to book when you have a larger party. We had no contact with the host at all. We had requested and were granted an additional night prior to our original arrival date (of which we were most appreciative). We attempted to call upon arrival the numbers we were provided, but did not receive a call back. Very nicely appointed and obviously a great location. Our stay at Ryan’s place was excellent. He was very responsive and made sure we got set up. The location is brilliant. You can’t get more central in downtown Austin than this. The apartment was a spacious 3 bedroom that accommodated 3 business colleagues. We will definitely try to stay here again. The candy on the pillows was a nice touch. The listing was very accurate. The layout was very nice. The neighborhood is a great walking neighborhood. No complaints very easy to work with. 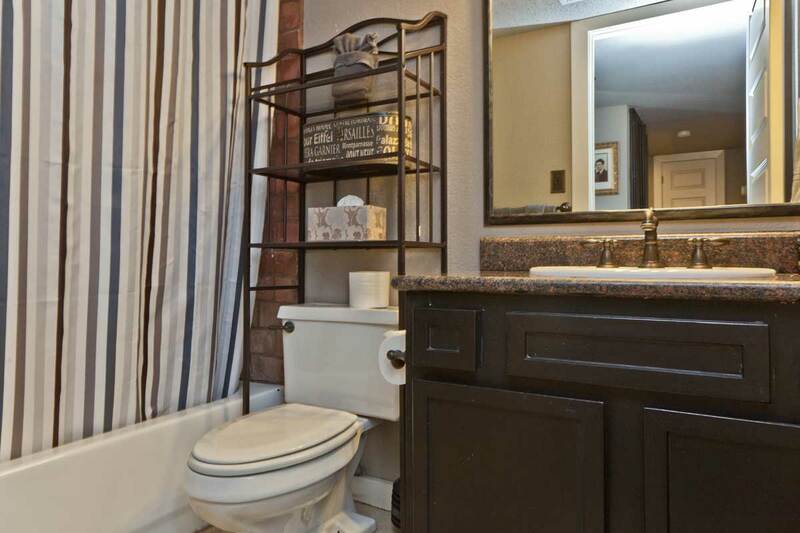 No unreasonable requests, the actual unit has a lot of nice touches, but isn’t cluttered. I would stay here again without even considering other options! Absolutely outstanding is how I would describe this property. Located only 1 block from the convention, it was perfect for our Keller Williams event. The bedrooms each offer queen size beds with memory foam (email hidden)r a perfect nights sleep. Living room was relaxing and the perfect spot to relax after a long day of education. Thomas and Ryan are fantastic, easily approachable, and respond quickly. We will definitely want to stay in the condo again…. Thomas an extra thank you to you for all your assistance. We will be back. Our host, Ryan exceeded all expectations from the minute we walked into our Railroad Oasis condo. Not only were his instructions on getting and entering the building helpful and to the “T,” the condo was spotless and had amazing amenities! Ryan also coordinated with my fiance & property manager, Thomas, to deliver special treats while keeping it a surprise and a seamless transition! On top of it all, he accommodated an early and late check in. He truly was a special part of my bachelorette party and I could not have wished or asked for anything more! I helped to host a girls weekend/bachelorette party for a group of 6 girls. This was the PERFECT place for our stay. Very clean and chic, this apartment was big enough for us to all sleep comfortably, and cozy enough for us to feel at home. It included everything we needed: dishes, towels, pillows, even hair dryers. It was also perfectly situated in a great downtown location, and we were able to easily walk to all of the places we wanted to visit on 6th street and beyond. No need for cars or pedi cabs for us, but we did notice that a pedi cab would have been easily accessible just outside of our doors. Check-in/check-out was simple and Ryan and I corresponded before our trip dates. Between Ryan and Thomas, all my questions were answered, and I was confident that our visit would be seamless. And it was! They left descriptive directions that made everything so simple for us. I would HIGHLY recommend staying here to anyone and will book this apartment again next time I visit. Ryan has several places on Airbnb within Austin, so I feel confident booking any one of his locations. If the place has Ryan Windsor’s name associated with it, then it’s an automatic A+ in my book. Thanks for the great visit! Great place, great location, great communication, well appointed! Great location in downtown Austin. The condo was easy to check-in/out of, had free private parking, and was close to good places to dine out. Worked great as our home and work place for my co-workers and I. This place is great, perfect layout and location for a group trip to Austin. We had three couples attending a wedding and everything was great. The location is perfect and Ryan is very helpful and quick to respond to any questions. I would highly recommend and would definitely stay there again. Once again… everything from communication to cleanliness to location was spot on! In fact, staying at another of his locations in Austin now… ***** rating! Ryan and his staff were very accommodating with our travel plans and working around our flights. The Railyard was in a great location to explore Austin and we could walk almost everywhere. The unit was nice and met all our needs. I would definitely recommend it and would like to stay there again in the future! Thank you! This listing was accurate. Ryan made us feel welcome and did all he could to ensure that we were comfortable. We had a minor hiccup with the apartment to which he responded immediately, efficiently, and with a clear understanding of the importance of having satisfied clients. I recommend him highly. Apartment was perfect for our needs. Great location and roomy enough for everyone. Being on the ground floor and the corner, there was some road noise and pedestrians, but really not a big deal. Kitchen had everything we needed (didn’t cook anything, but had coffee). Lots of great restaurants within walking distance. Nice apartment and well furnished, great downtown location. Host had a very easy check-in and check-out process. Wifi was a little unreliable. Overall a great place to stay, would recommend it. Very nice place, convenient to all of downtown Austin. Unit was clean and comfortable. Ryan was easy to work with and accommodated a last minute request for early access to the rental. Great location! It is perfect to step out and enjoy the city. Everything is a quick Uber ride away. Ryan was a great host and quickly answered any questions I had. The place was perfect. Great amount of space. Very well put together with some cool decorations. Strongly recommend. Super responsive hosts – easy to work with! Awesome spot! Location is amazing, right in the middle of the all the hotels and bars downtown and steps away from Starbucks and Yoga! Apartment was clean and beautifully furnished and absolutely perfect for our stay. Quick warning, one of the street-facing bedrooms got a little loud at night when rowdy bar patrons would walk home, but the other two bedrooms were nice and quiet. Really awesome spot–even walkable to Rainey Street! Ryan was a great host. Very quick to respond to any request. Great location! Great place. Easy walk over the bat bridge and around south congress. Ryan is as professional as they come. The house is perfect. Just as described. The location couldn’t be better. If you have the chance to book this, you will have the best weekend. Coffee shops on all sides of the building, wanderlust yoga across the street, bars and nightlife within walking distance. It doesn’t get any better. My only hesitation with leaving such a great review is that when we try to book again, it will be taken. Wonderful experience. he Railyard Oasis is perfectly located in Austin. Ryan provided us with a great guide of things to do and see in the city. It was our first visit and we were able to walk almost everywhere as we enjoyed sightseeing, local clubs, restaurants, and shopping. We had an awesome four days with friends and staying in the beautifully decorated Oasis enabled us to spend quality time together and relax before heading out for the evening. The apartment was in the center of everything happening in Austin. We were steps away from the convention center, 6th street and Congress. Plenty of restaurants and bars in the area. The rooms were clean and we enjoyed the space tremendously. We would stay here again! Ryan has an awesome spot here! Beautifully decorated and a perfect location between 6th Street and Rainey (which was important to our group). He also was quick to respond when I had questions about the condo. Austin is a fantastic city and I’d encourage everyone to visit at some point. The location of the apartment is excellent. Easy walk to 6th or South Congress. Access was easy. Ryan is very accommodating. The apartment had plenty of room with 3 bedrooms. Very comfortable. 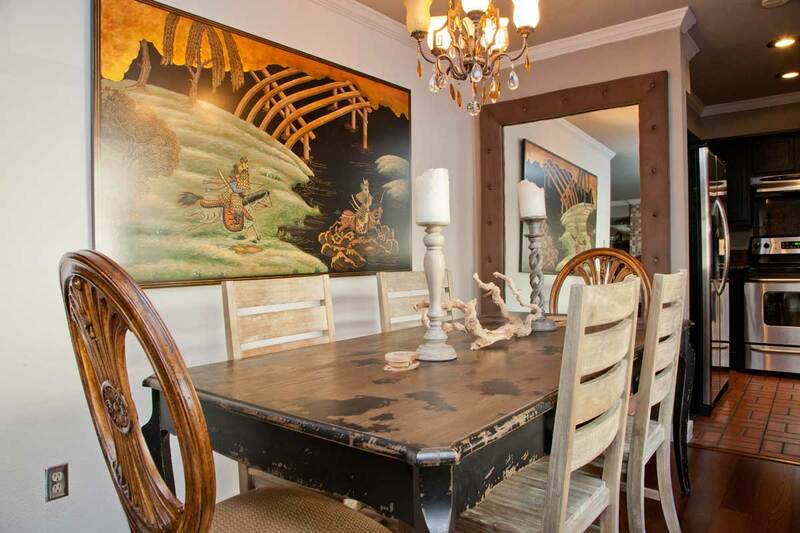 Great location- walking distance to most sights and many restaurants. Host was very accommodating with early check in. Ran into some problems with our requested pack n play, but the host was able to resolve issue quickly. Apartment could be kind of loud at times since it’s on the first floor with people walking by all the time (and we had to keep our blinds closed most of the time). That said, great experience overall. He was incredibly accommodating with my questions and allowing me to enter the condo prior to the 3pm start up time. I highly recommend Ryan and his condo if you’re staying in Austin, TX. Plus the throne chair is very comfortable! Had a great time at the Railyard. Had everything we needed and was in a great location. The pool was very helpful with our group not being accustomed to the Texas summer. Ryan was very helpful and answered any questions we had. Thank you! Ryan’s quick response was amazing leading up to the trip and the day of checkin. The space was perfect for spending a long weekend girls trip in Austin. It was close to walk to Rainey Street and a quick cab to the east side. There were many great bars nearby and a much needed Starbucks across the street. The pool was tiny, but we met a bunch of other people on group trips, and the smaller pool provided more opportunity for interaction and getting to know some new people. We had a blast! Ryan was great to work with and extremely accommodating! Great place with an incredible location. Everything was clean, accessible, and Ryan was easy to contact during our stay. Perfect location for both 6th St and Rainey. The space was very clean and uniquely decorated. Kept communication open, and very accommodating to guest request. This place is in a prime location in Austin. 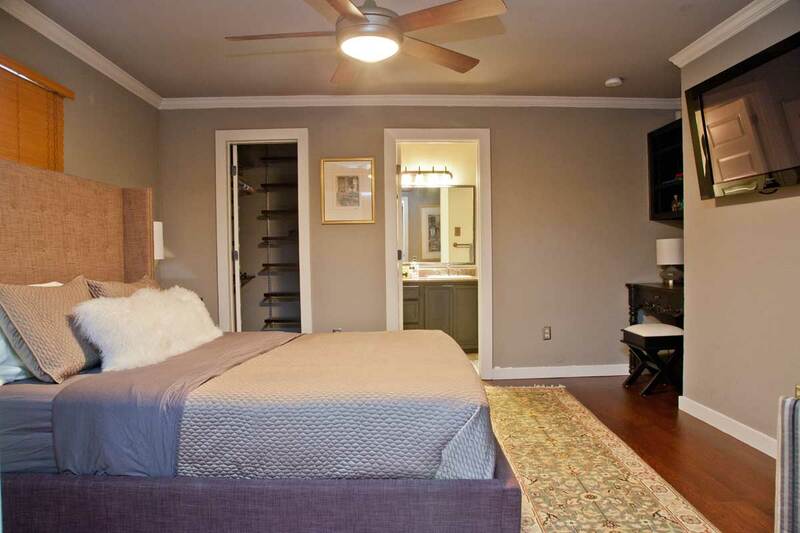 It is a 2 block walk to 6th Street and about a 15 minute walk to Rainey. I can’t say enough about the location as it is absolutely perfect!!! The place was nice and had everything we needed in terms of washer / dryer and a kitchen. It’s noisy at night and in the morning due to the street level location. Ryan was absolutely fantastic to work with. He was extremely welcoming and accommodating to our group. Railyard Oasis is in the perfect location for anyone wanting to experience downtown Austin. It’s a short walk to a plethora of excellent dining, shopping, and tourist options. The condo itself is kept in great condition and we felt right at home. We would absolutely recommend and will definitely be coming back for any future trips to Austin. Fantastic property in a fantastic area of a fantastic city. Thanks very much to both Ryan and Thomas for making the entire experience enjoyable. We would wholeheartedly recommend this place! Thanks again. Wonderful place! So conveniently located and very comfortable! The area was perfect! We were able to walk to a cycling class and to dinner. Ryan was great and very helpful! Highly recommend! Generally a very nice place. Extremely clean, nice furniture, very comfortable. The neighborhood is very walkable and felt quite safe. I stayed here on business and noticed a few details that others may care about: – Kitchen equipment is basic; if you plan to cook, be sure to bring essentials like oil, vinegar, and measuring cups (if you need them)! – It’s on the ground floor. – Did not get a ton of natural light. (I personally felt uncomfortable fully opening the curtains because people walking by can see inside.) – Building’s wifi was very unreliable; I couldn’t use it for work. The digital code for entry is great. Everything worked and was in good condition. Well kept and very convenient location! Great place….the location is ideal! We will be back. From the beginning communication with a Ryan was excellent. Once we booked he provided me with ‘the best’ travel package outlining everything. We used it throughout our time in Austin. 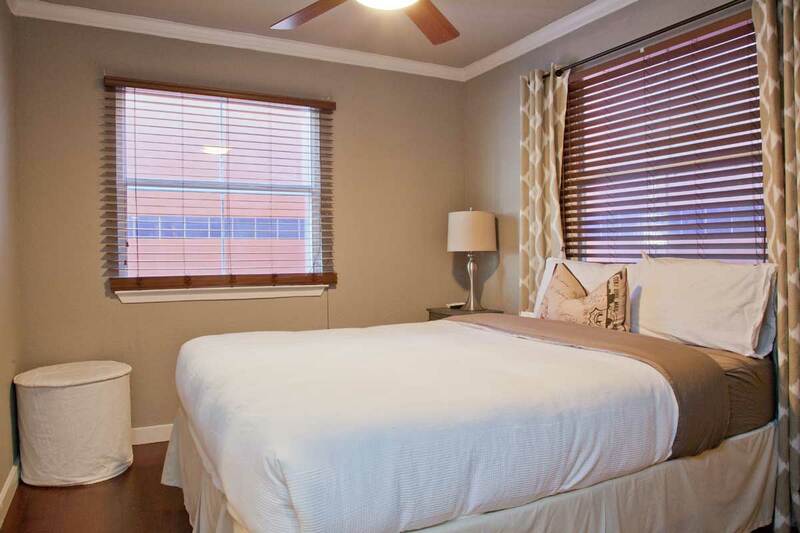 The apartment is a perfect location that allows you to explore Austin by foot easily. We arrived and it was very clean and provided us with comfortable beds and great space for the 4 of us (2 adults with 2 older children) to live. We stayed for a week over NYE and as much as we expected it to be noisy we were pleased that it wasn’t too crazy. We loved the closeness to fabulous restaurants and great things to do. The Escape Game, Scavenger Hunt, kayaking and more. We drive to San Antonio for a day to explore and we’re thrilled that we chose to stay at Ryan’s place in Austin. You have found a great place to stay. Book now and enjoy! This place was great! Really central to a lot of Austin activities, very clean, a lot of space, and overall an awesome place to stay. Ryan is super responsive. You cannot beat the location if you’re looking to enjoy downtown amenities. We stayed at Ryan’s place for a bachelorette weekend. We were 8 girls and able to stay here comfortably. Great location and can walk anywhere, or take a small ride. The place was clean and furnished with high end quality furniture. My only critique would be that you’re on the ground level and it can get noisy, I was able to hear conversations from outside. Otherwise great place!! Ryan was accessible if needed and left detailed instruction about check-in, wifi and etc. Definitely recommend it. This is a great 3 bedroom, 2 bathroom apartment. If you are in town and need to host a dinner for 6 people, this gets the job done quiet well. We used the kitchen and large dining room table for a Thanksgiving and it worked out smashingly. Lastly, Ryan, and the property manager, Thomas, are a delight. Absolutely perfect stay at Ryan’s place in downtown Austin. Large condo, perfect for our family of five. Tastefully decorated and furnished, and well appointed (the coffee pods for the Keurig was a nice touch!) Place was very clean. Ryan was super easy to communicate with both before and during our stay. Location is perfect for taking advantage of all that Austin has to offer. Parking was easy and convenient. Highly, highly recommend this place! Ryan was super fast and communicative, and answered a few questions I had prior to our booking quickly. His welcome email was super detailed and personal, and gave us all the info we needed. Check in was super straightforward and convenient, which was critical for us as we arrived later in the evening. One of the best rentals I’ve stayed in! Would absolutely recommend! We enjoyed the stay. The only information I missed was that there was only 3 beds. We were 4 guys an therefore had to share a bed. The place was as described and in an excellent location. Would stay there again. The Railyard Oasis is perfectly located in Austin. Ryan provided us with a great guide of things to do and see in the city. It was our first visit and we were able to walk almost everywhere as we enjoyed sightseeing, local clubs, restaurants, and shopping. We had an awesome four days with friends and staying in the beautifully decorated Oasis enabled us to spend quality time together and relax before heading out for the evening. Once again, Ryan is one of the best host I Once again… had excellent experience with the property and communications with Ryan Will be staying there again and again! I helped to host a girls weekend/bachelorette party for a group of 6 girls. This was the PERFECT place for our stay. Very clean and chic, this apartment was big enough for us to all sleep comfortably, and cozy enough for us to feel at home. It included everything we needed: dishes, towels, pillows, even hair dryers. It was also perfectly situated in a great downtown location, and we were able to easily walk to all of the places we wanted to visit on 6th street and beyond. No need for cars or pedi cabs for us, but we did notice that a pedi cab would have been easily accessible just outside of our doors. Check-in/check-out was simple and Ryan and I corresponded before our trip dates. Between Ryan and Thomas, all my questions were answered, and I was confident that our visit would be seemless. And it was! They left descriptive directions that made everything so simple for us. I would HIGHLY recommend staying here to anyone and will book this apartment again next time I visit. Ryan has several places on Airbnb within Austin, so I feel confident booking any one of his locations. If the place has Ryan Windsor’s name associated with it, then it’s an automatic A+ in my book. Thanks for the great visit! Our host, Ryan exceeded all expectations from the minute we walked into our Railroad Oasis condo. Not only were his instructions on getting and entering the building helpful and to the “T,” the condo was spotless and had amazing amenities! Ryan also coordinated with my fiance & property manager, Thomas, to deliver special treats while keeping it a surprise and a seamless transition! On top of it all, he accommodated an early and late check in. He truly was a special part of my bachelorette party and I could not have wished or asked for anything more! Absolutely outstanding is how I would describe this property. Located only 1 block from the convention, it was perfect for our Keller Williams event. The bedrooms each offer queen size beds with memory foam mattresses………..for a perfect nights sleep. Living room was relaxing and the perfect spot to relax after a long day of education. Thomas and Ryan are fantastic, easily approachable, and respond quickly. We will definitely want to stay in the condo again…. Thomas an extra thank you to you for all your assistance. We will be back. The Team (Thomas, Ryan + Jared) where very accommodating. At the beginning we had a few challenges, which were rectified quickly, while we were out of the Apartment. Only the Ice Cube Maker in the Fridge/Freezer Combi had a Mind of its own & we could not get it to work. I was staying with two Colleagues, who liked the place for its convenience of being so close to the Conference Centre – literally a stone throw away. Along with the Starbucks across the Street & the Keurig Coffee Maker in the Kitchen. And several Restaurants behind the Condominium. Their only Critique Point – the patchy slow Internet needs improvement. Now that Austin becomes a (SENSITIVE CONTENTS HIDDEN) Fiber City, allowing to register Addresses north of the River in a few weeks, we hope that this can be fixed soon! Unfortunately at present it took us a good hour to download a half hour long HD Comedy Episode from iTunes. And large Attachments took also a few Minutes to upload, so we resorted to using one of our iPhone’s as Mobile Hotspot in combination with our T-Mobile unlimited Plan. For the Record: Ryan offered to provide us with one of his Mobile Hotspots, but we declined. For longer Stays, the front loading Washer & Dryer are a great help. Along with the small Pool in the Neighbouring Condominium. We also did not use the Parking Space, since the Metro Tram has its Final Stop basically in front of the Door. And UBER is so inexpensive to get around town. Should the Convention come back into town, we would use the Apartment again, because the Location is simply unbeatable! Great location, decent place. “Swanky” is a bit much but certainly a nice complex. Good directions, easy to find and get in. Nice place to socialize. A couple of nits: Bedrooms facing the street got a little noisy in the wee hours. And It gets tight if you have to use the fourth bed (air mattress). Overall satisfied with the experience. Thank you for all your hospitality. We enjoyed our stay at your place, Everything was just as described on your website. We were close to everything and the weather was beautiful during our stay. We will be back again someday. Fantastic. Perfect location for our needs. We had a conference and couldn’t have been better. We rented the apartment for the Austin Marathon weekend. The Railyard Oasis is located a couple of blocks from the starting line so it worked out perfect for us. The apartment itself is super clean, very comfortable, well decorated and equipped as advertised. Very close to the downtown action, which could get a bit noisy at night, but still everybody loved it! Did not need to contact Ryan since everything worked perfectly and his welcome email was very helpful. Great overall experience. Awesome place and great location!!! Park the truck and everything is within walking distance. This condo exceeded our expectations. It was beautifully decorated and very well laid out. We all found the beds to be very comfortable and the linens top quality. The location is superb and the parking spot is a huge convenience. As previously noted, the shuttle to and from the airport couldn’t be any easier and you cannot beat the price. Very easy access to building and the condo. Ryan provides a detailed email with everything you need to know about the condo and about Austin. Great communication with him. We look forward to staying here again when we come to Austin to visit my son. Ryan’s unit in the Railyard Oasis was an excellent place to stay in downtown Austin. I was in town with some colleagues for a business meeting, and the apartment offered very convenient access to both the convention center as well as local food and nightlife. Everything was very clean and comfortable, and the listing quite accurately set my expectations for what the stay would be like. The style in which the apartment is furnished makes for a fun and interesting environment to spend time. I would gladly stay here again in the future. Ryan’s place was perfect! Great location and very clean. It could be a bit loud from time to time when neighbors were coming home late night, but the location, cleanliness and overall great hosting were wonderful. We would definitely stay here again! This was one of the better places in Austin. We had a great time, will come back for sure. The apartment was great! Nicely decorated and great location. The host was quick to respond. The Railyard Oasis is great! It was perfect for a girls weekend in Austin. You can’t beat the location. We either walked or took Austin B-Cycle’s everywhere. Apartment looks exactly as it’s pictured – fabulous decor and clean. The door keypad worked out great, as we didn’t have to keep track of keys. The $1.50 shuttle from airport drops you right at the condo. The condo community pool was an added bonus for us. Ryan is very responsive and a great host. Highly recommended. We had a fantastic stay at the Oasis! The condo is beautifully furnished and clean. The location is hard to beat. Great communication with Ryan the host and I would definitely recommend this property or any others he manages. Thank you for making our weekend stress free! This place was amazing! It looked just as good as the photos and was in a spectacular location. Ryan was great to work with and very responsive, especially during my stay when I had questions regarding the unit. If you are looking to be in a great area in Austin that is walking distance to 6th street then this is your place. We had a great stay at the Railyard Oasis last weekend. It was 7 girls out there for a bachelorette party and we couldn’t have found a better location. 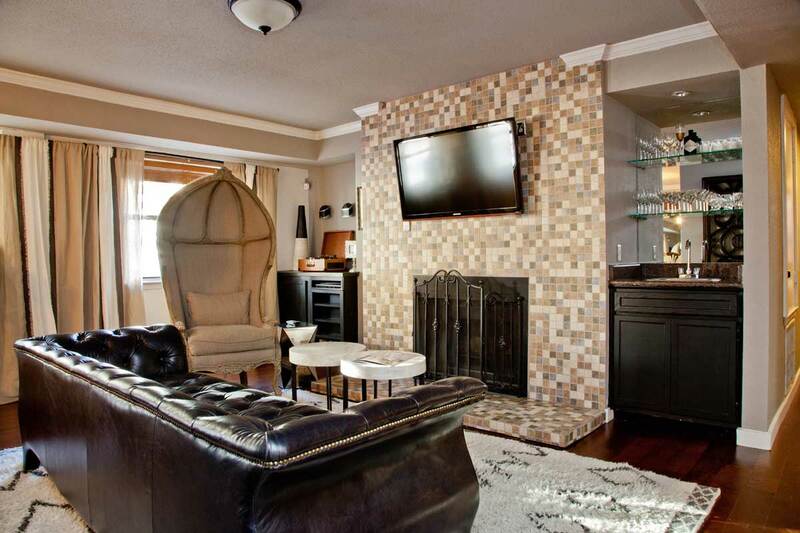 The apartment is beautiful, clean, spacious and right in the heart of downtown. Leading up to the trip Ryan was always prompt in getting back to me on any questions I had. He also let us keep our bags in the apartment past the check-out time since we had a late flight back which was very helpful. I highly recommend staying staying here. I stayed at the Railyard oasis for my bachelorette party with 5 other girls. There was plenty of space and we absolutely loved it. It was perfectly located and walking distance to all the bars and restaurants. The place was clean and easy to access. Ryan was very responsive and helpful, and even made suggestions for bars based on our likes and dislikes. I highly recommend this place, anything better would be hard to come by! Was with 4 of my co workers for a conference in Austin. I am so happy we found this gem if a house. It was very clean and spacious, very well stocked with linens. The kitchen is modern and clean. Ryan is also so easy to work with and very helpful. If I am ever back in Austin I will definitely try to stay here again! Excellent location and decor. Spacious and clean. Ryan was a welcoming and friendly host who attended to all of our needs and questions. Can be loud at night (during SXSW) because it’s on the first floor, but that is to be expected during this event. This condo was perfect for what we wanted! The railyard oasis was great. The location is impossible to beat and Ryan was fast to respond, friendly, helpful and flexible. Thanks! We had a great time in Austin and Ryan’s place was absolutely perfect. Close to all the spots downtown and Rainey St. Communication was clear for checking in & checking out. He’s a great host and we’d definitely recommend him! The place was in a perfect location, with all the amenities we needed. Ryan was extremely easy to work with, and very helpful. Our entire group had a great time, and really enjoyed the apartment. Great place to stay in Austin- the house was excellent and very comfortably accommodated 5 of us for a college mini reunion weekend. Close to everything but we were still able to park our rental car with no hassle. Ryan was very easy to work with, responsive and helpful. Would definitely stay here again! 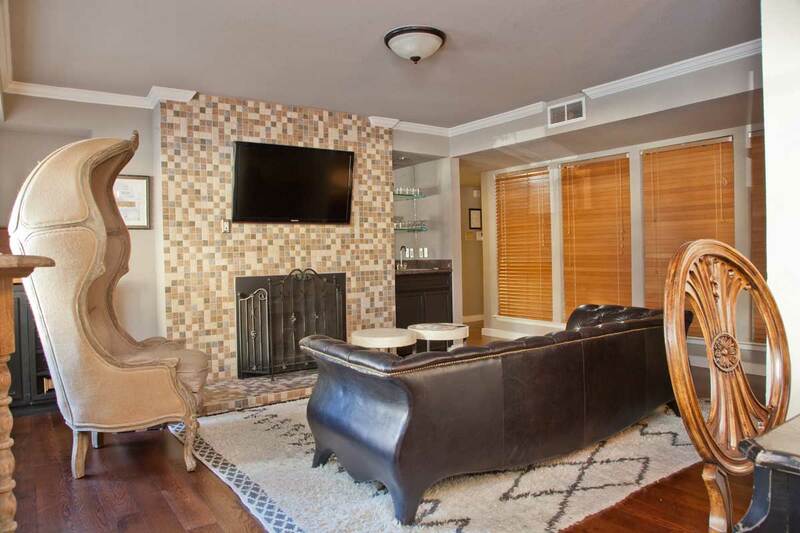 This apartment is excellently located for the best of Austin! We appreciated easy airport access, 2 blocks off the famed 6th St, and really, walking distance to most everything. We enjoyed a great segway tour from (URL HIDDEN) and used B-cycles to get around some too. The apartment was spacious and well appointed, and Ryan was very accommodating and a good communicator. Highly recommended! Ryan was easy to communicate with. The condo was in a great location, easy to walk to most places. 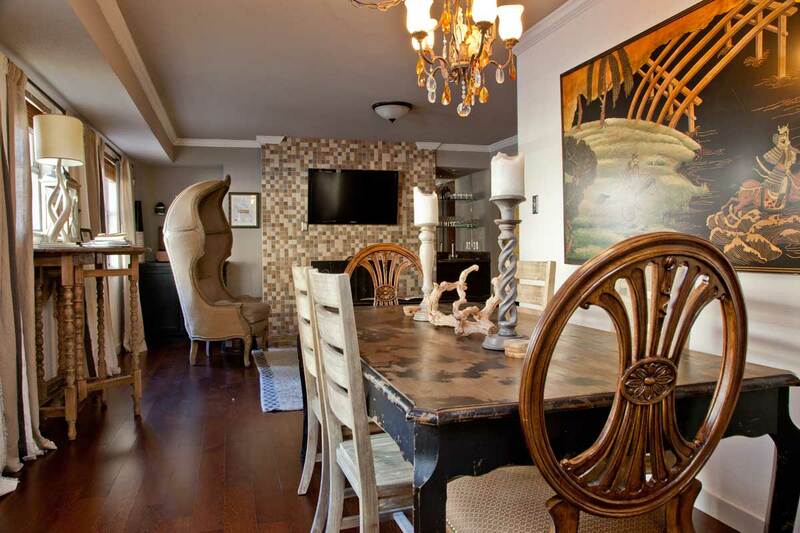 It was clean, furnished very nicely and easy access to the first floor condo. The keypad access to the front door made it easy and convenient. Place was clean, well-maintained, and a great location. One of the few Airbnbs that actually lived up to the photos, hah. Definitely would stay here again in the future. Great spot. Perfect location in downtown Austin and the onsite parking was a big bonus! We hope to stay here again while visiting our UT student. Great spot. Ryan was really helpful. This condo is amazing! Perfect location and even better than the pictures. If you fly in, take the MetroBus, as it lets you off right on the corner of 4th and Trinity – and it’s only $1! Beautiful space, awesome host, and terrific location. Next time we head back to Austin we will DEFINITELY be staying here! Thank you, Ryan! Fantastic spot – clean, stylish, plenty of towels 🙂 Great location! Ryan was also very responsive and helpful. This really is our favorite spot to stay at in Austin. The proximity to everything downtown is second to none. Ryan is a great host, and i highly recommend staying in any of his properties. Ryan was the perfect host. When a problem with the previous renter left his condo in need of repair, Ryan immediately notified me and offered up another property (larger and more expensive) at no additional cost. Our group loved the place and had a great time at the condo! We are frequent guests of Ryan’s properties and always have the peace of mind knowing that our stay will be restful and top notch all the way. The Railyard Oasis is a comfortable spot with a convenient location. My group of 4 found found the space extremely accommodating with a very welcoming environment. I highly recommend staying at anyone of Ryan’s properties because of their quality and his dedication to ensuring that your stay is a restful one. We had a wonderful time staying at the Railyard Oasis in Downtown Austin. It’s perfectly located, walking distance from many good restaurants & fun atmosphere. Austin is a great place to visit, and you can not go wrong with this modern, beautifully furnished apartment right in the middle of it all. Ryan was a great host, answered all my questions, and was very helpful in giving advice on restaurants and night life recommendations. I’d definitely recommend this location to friends, hopefully I can go visit again in the future. The Railyard Oasis is the perfect location for a visit to Austin and Ryan was a great host. He was extremely accommodating with our check in time and has definitely made sure that the necessary amenities are available for his guests. We’ll definitely be back again! As a frequent business traveler I appreciate staying in a place that has the comforts of home. My stay at Ryan’s condo was just that, a perfect combination of a homey feel with the convenience of a hotel stay. The location gave my group the ability to be centrally located in downtown Austin to be close to everything that the city has to offer. Ryan was extremely accommodating and made it a point to check in during our stay to make sure it was satisfactory. I definitely recommend both Ryan and his condos to anyone. We will be back! We had our long overdue man trip over a 4 day weekend and….. Well the details are classified but we had a ridiculous good time!!! This place was very nice, clean, and walking distance to any variety of trouble your crew may be looking for 😉 Ryan was always just a phone call or text away and was helpful and a good guy. If you’re staying in Austin, stay here…. Keep it real and do it “Texas Big” and “Austin Weird” while in town!! If someone dies, it’ll probably be worth it. The pool is small but perfect for chilling and soaking off a hangover… And what are we, 7? That we need to do cannonballs??? It reminded me of a Greek bath and I dug it. Get down there and check it out. Have fun!!!! The Railyard Oasis was perfect – convenient location, spacious, came w/ a parking space, tastefully decorated and well furnished. Plenty of extra linens and fluffy towels. The beds are comfy too. It’s nicer than a hotel!! The best part of our stay was Ryan. Ryan is a super host. He is very responsive and welcoming. Upon our arrival, he helped us w/ our luggage. He spent some time w/ us touring the condo and introducing himself. Offered to make reservations and suggestions to restaurant. Throughout my stay he reached out a few times to make sure everything is going well and asked if I needed anything. It was my friend’s bachelorette party, and he even offered to drop off a gift! It was like having your own personal concierge. There’s no doubt that Ryan is passionate about providing great hospitality. If you decide to stay here, you’ll be in good hands. Highly recommended! 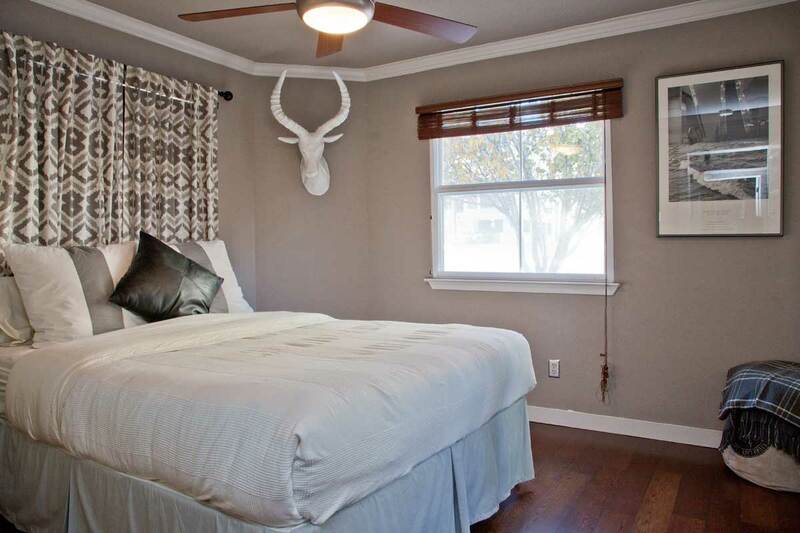 Ryan’s place is beautiful, clean, has great amenities, and is perfectly located near everything in Downtown Austin. I would recommend it with no hesitation to my friends and family. We were a group of seven visiting Austin for a May weekend, and we loved having a big apartment to share instead of renting multiple hotel rooms. Ryan was the perfect host. He was extremely responsive leading up to our stay and called us during our stay to make sure everything was going well. I did not meet Ryan, but my friend did, and she thought he was very professional and attentive. Our group of friends travel a lot and have experienced different levels of accommodations, and we were very impressed with the decor and comfort of Ryan’s apartment. I would definitely stay here again! Fa-buh-lous. My 4 friends and I celebrated a long birthday weekend in Austin. I really can’t say enough about our experience. Ryan is a doll. The apartment is gorgeous. It’s 2 blocks from the 6th street action. Check-in and check-out were a breeze. The condo is on the ground level, but the street noise was minimal. This was probably my best Airbnb experience yet. Thanks, Ryan! Ryan was a wonderful host- very accommodating for check-in and check-out. He supplied the condo with everything we could need and was always available for anything we needed. The location of the Railyards is perfect – right in downtown Austin, near great restaurants etc. This was perfect for my family. The Railyard Oasis is THE PLACE TO STAY in Austin. Ryan is a fantastic host. Every accomodation was made to support our visit. The condo is outfitted with everything you could ask for from a new coffee machine to a Tempurpedic bed. The location is amazing, literally 2 blocks from the main attractions downtown, and a starbucks across the street (key). Ryan is a great host. He is more attentive and “on the ball” than any other host I’ve ever worked with. I can’t say enough how great the experience was. I will certainly stay at one of Ryan’s properties on my next visit to Austin. My first (and certainly not last) trip to Austin was excellent thanks to Ryan and his fabulous condo! The beautifully furnished condo was the perfect size for our group of six. Ryan welcomed us upon our arrival, offered to make reservations for us throughout the weekend, and extended our stay by a few hours so we could leave our bags while taking in some last minute sights. All in all a great experience and preferable to a hotel any day. Highly recommended location, host, and accommodations! The Railyard Oasis was the PERFECT place to stay in Austin. The location was unbeatable and the accommodations were impeccable! Beautifully designed yet extremely comfortable! Ryan was very accommodating and beyond helpful as well! I will definitely stay here again on my next trip to Austin! Ryan’s place was great! Just what we were looking for. The location was perfect. Also Ryan was always in contact and available for any questions or needs we might have, even got us restaurant reservations. Thats going beyond the call of duty! We will definitely recommend the place to our friends and family. Thank’s Ryan, fo everything. I couldn’t have asked for a better location or a better host for my SXSW trip. The condo was beautifully furnished and Ryan was just a phone call away to handle any questions. I would highly recommend his place for a comfortable stay in downtown Austin. Ryan is everything you’d want in a AirBnB host, and much more. I’ve stayed in 20+ AirBnBs, and this experience was by far the best. Highly recommend any of his properties to both business and vacation travelers! We had an absolutely wonderful experience at the Railyard Oasis. The location was perfect, a short walk from everything in downtown Austin including 6th street, the river, and Congress Ave. The place itself had a rustic-chic style, comfortable beds, high water pressure showers, a great stereo/tv and all the amenities of home. Topping it all off was our host Ryan, he really went all out to assure our experience in Austin was authentic and hassle free. We were 4 business men travelling together but this place would also be perfect for 3 couples. We will definitely stay at the Railyard Oasis again on future trips or at one of Ryan’s other locations. Thank you for making our trip to Austin memorable! Awesome weekend, great location, nicely furnished apartment. We were fortunate to be the first guests and the place was a great set up for the weekend. Just a few blocks to everything and Ryan was super helpful about helping us get set up and around the city.